To realize goals you need to be persistent. 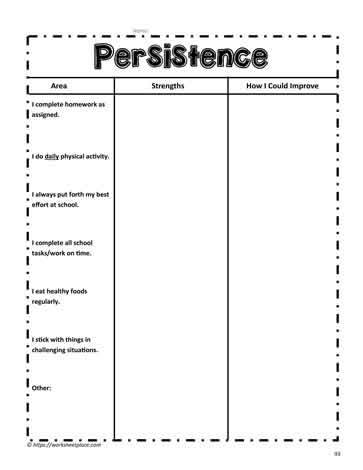 A worksheet to determine your persistence goals. Grades 4-7 pillars unit for the character traits.